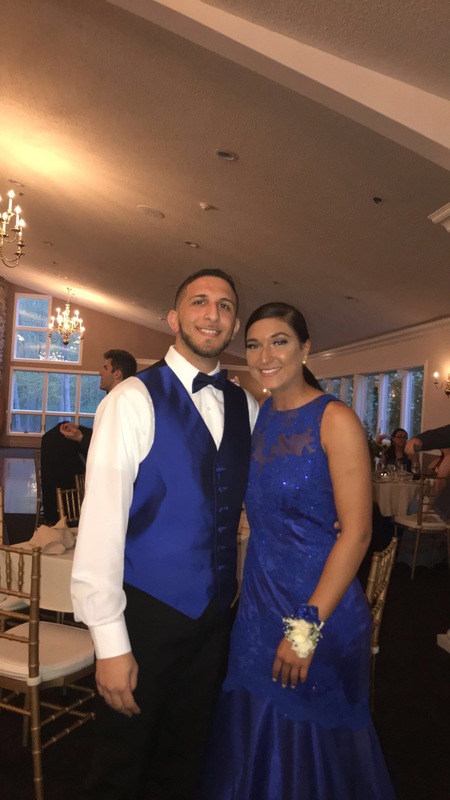 See what hundreds of our wedding and prom tuxedo customers are saying. at 7:45pm and they close at 8pm…there was one person ahead of us and they weren’t sure they could get us both in. They were awesome and ended up taking us both and were super nice about it even though it was the end of their day and they could have been cranky. Thank you! that I would be charged a late fee when I ordered my tux on Tuesday morning for the Saturday event. I was actually in the store the day before and was running late with the store closing in 5 minutes. I wish the sales associate would have said to me “no problem, you were here before we closed so I can take care of you” If he did however would I still have been charged a late order fee? I saw the sign on the counter on Tuesday stating there would be a late fee but it didn’t say what was considered late. I guess seeing I don’t rent a tux often that I did not realize. Just venting. Made me feel comfortable while renting my first tux. Everyone was friendly, smiling, joking and not pushy. Asked what I wanted, explained everything and didn’t make you feel they just wanted the sale, which was different then other places I visited. I would go there again and have told people about the great experience! 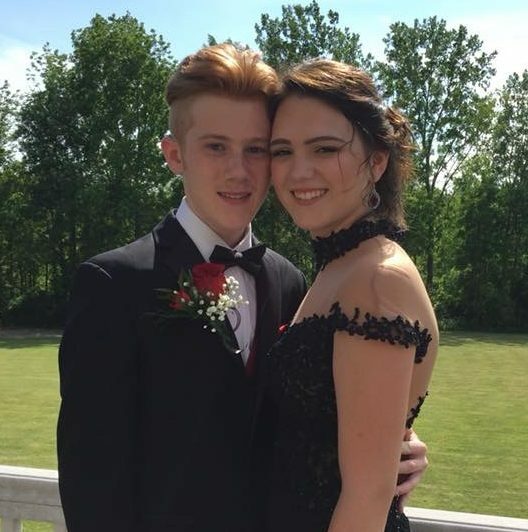 made it very comfortable and easy for a teenager to make the choices on color, style, size and accessories for his prom tux. harmless. The guy that helped me did his job amazing, and what impressed me more is that he wasn’t eager to push me to buy that day. Then coming back in, getting measured and getting everything figured out went super fast and super harmless. 10/10 would comeback. very kind Gentleman. He was very patient with me especially for how clueless I was in making any decision. a very kind Gentleman. He was very patient with me especially for how clueless I was in making any decision. and patient throughout the entire process of finding the right tux! Professionally staffed, responsive, quality service. It was really made sure that I got what I asked for and nothing less. Very pleased with the experience. not very happy or pleasant to talk to and the older gentleman took a VERY long time to type in my information into the computer. The store only had one other customer at that time too. I was greeted with big smiles and an honest handshake. George was very knowledgeable considerate and kind during the whole process and made it a very comfortable experience that I would recommend to everyone. at the Eastern Hills Mall was great! was amazing. He had us in and out in about 20 minutes. He was knowledgeable and professional. 5 stars! rating but it did not allow me to ? Definitely 5 star service! 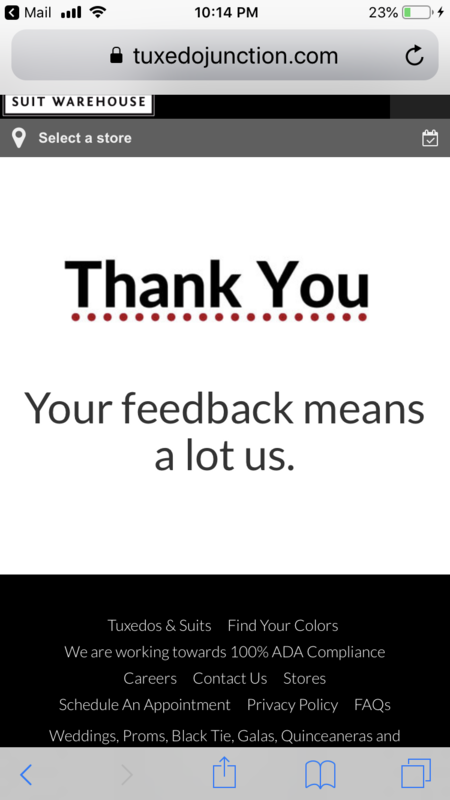 First time experience with tux rental and they made it very pleasant, easy and painless. Would definitely recommend this store. Friendly, helpful, excellent customer service! at his junior prom last year! Here is his initial reaction entering his decorated school gym. I think he approved! & very accommodating to us. Especially since we have groomsmen all over, even in Alaska. They showed us a few different looks and let my fiancé try some on. Wonderful people & a great experience. So glad we went with them for the tips for the wedding! fun and efficient glad we chose tuxedo junction. and patient. He was very busy with numerous customers but still took the time to answer all of our questions and help us. Great experience and great customer service! that made our day more than amazing: Jeremy. His level of professionalism and service, attention to detail, sense of style and honest advice is more than anyone could ask for. I will recommend everyone to come to Tuxedo Junction to work with him. Our big day was incredible thank you to him and his team. Great representative! He was super helpful! helped us out. Both were very helpful, knowledgeable, and easy to work with. didn’t have to wait long. Clerk was knowledgeable. at the Mall at Robinson have once again demonstrated their commitment to providing superior customer service. This store has become our “go-to” for all of our formal menswear needs. Your Branch Manager, Bradley, is by far one of the most helpful and friendly representatives we’ve ever dealt with. Two specific examples we want to call out: (1) a couple of weeks ago, our son left his coat in the store after having purchased a suit and went into a neighboring department store to continue shopping. Bradley kept an eye out for us throughout the time we were in the neighboring store. Upon our exit, Bradley actually tracked us down to ensure that our son got his coat back – a gesture we consider above and beyond normal customer service. 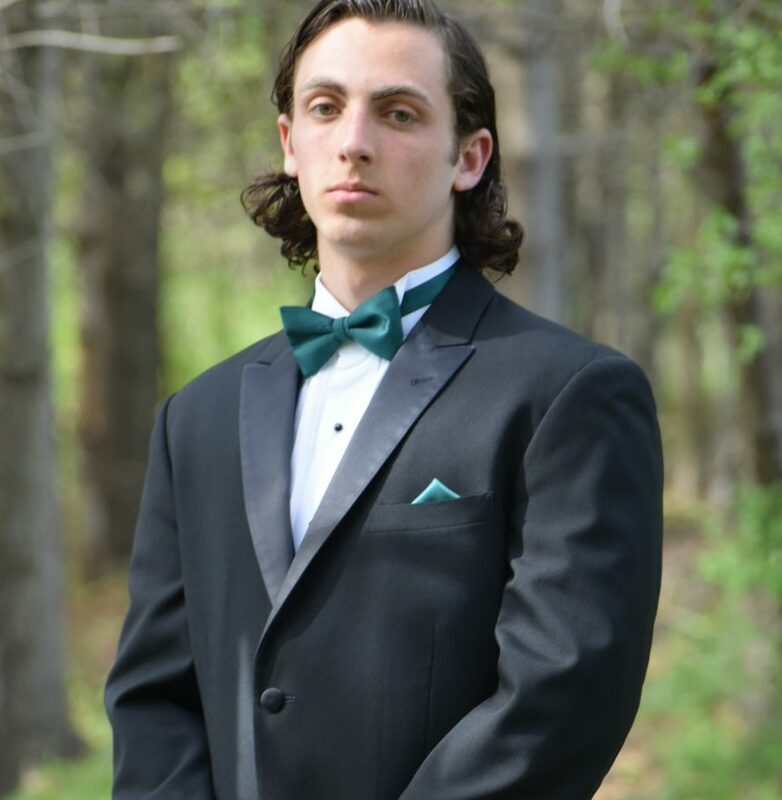 (2) Last week we were back at the store shopping for a rental tux for our other son’s upcoming prom. 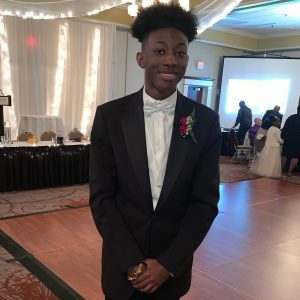 After viewing a photo of his date’s gown and asking some questions to get a feel for the couple’s tastes, Bradley helped select what all of think is the perfect complement to the gown. 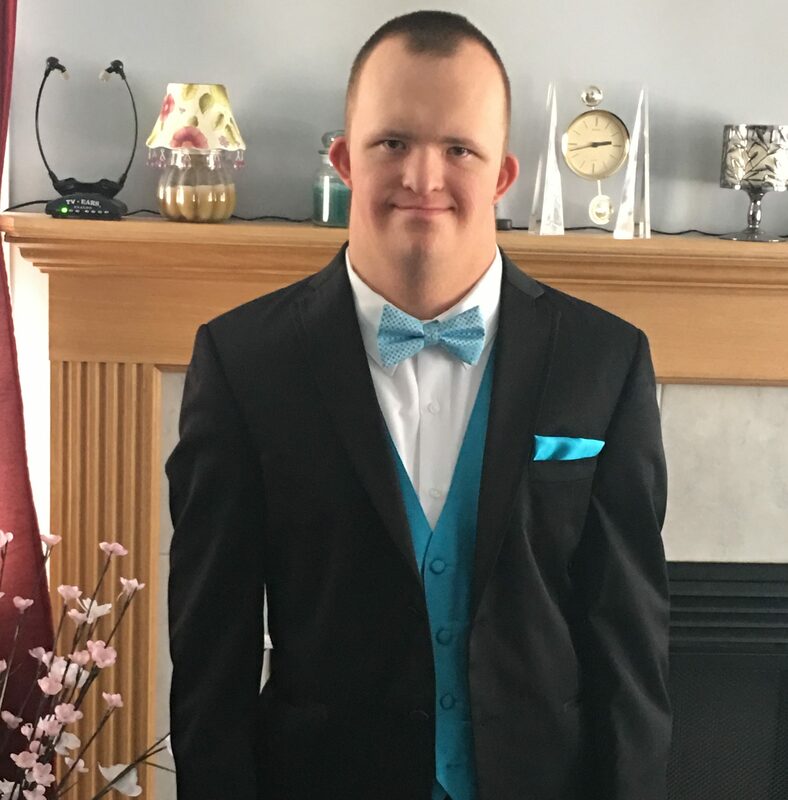 Best of all was the amount of attention he showed to our son and the manner in which he showed it – instead of being a “pushy” salesperson, Bradley seemed to genuinely want to help our son have a great prom experience. We hope that Bradley gets the recognition that he truly deserves. were great! They were fun but professional and extremely helpful. We had a great experince! Great service very nice manager! Emma was kind and helpful. easy. Helped make last minute alterations in a very timely manner. Will be using Tuxedo Junction every time I need a rental. Sales associate was very helpful! Tim was a great help! to be very polite, knowledgeable and great to work with. We would recommend this store to anyone looking to rent a tuxedo. Was a quick and informative experience. Very professional and friendly atmosphere. Employees were helpful and polite. Didnt explain pricing. I was looking for something super affordable. They didn’t tell me anything about prices until check out. Also only two employees working an one didn’t seem comfortable measuring. with the service and knowledge of the employees. Their suggestions and advice were very helpful. The ability to pick it up at an out of state location is great. Great experience. Thank you, Emma!! 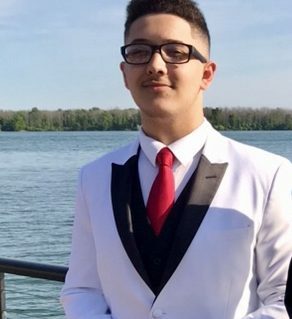 to rent a tux for the night was outrageous price I can rent a car for a week for that type of money and I was offended when I asked for a veteran’s discount and I was told no that the tux was already a discounted price!.. all veterans and military personnel should have a discount to take 10% off something so already ridiculously priced shouldn’t have been a problem..the staff was friendly…but your prices r crazy! they found out pretty quickly but I would’ve like a little more info on what I was getting. was very helpful and fun guy to work with. and helpful! 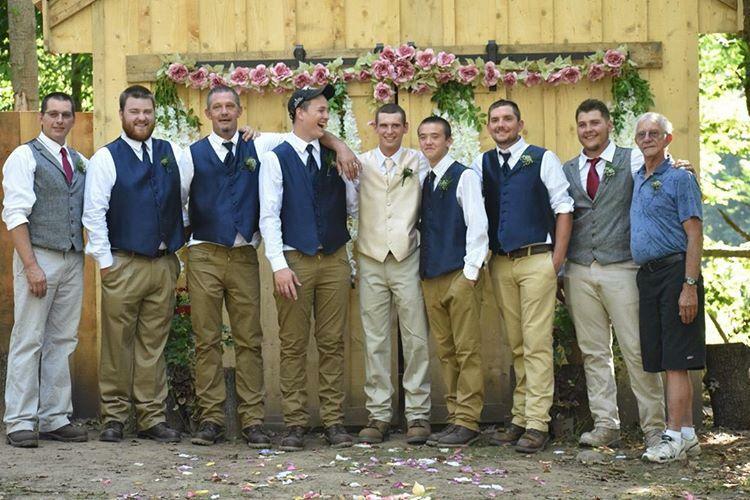 The helped us clear up some confusion and better paired the bridesmaids dresses to the groomsmen vests. best friend, he is very VERY cool & Helpful, He deserves a big time raise!!!! Friendly service. Very nice looking store. out was awesome. The process was easy. I used my last free rental from my 5 tux card from 5 years ago and it was such a great purchase. Bring back that promotion! Anyway, the young men who work at the location up by Great northern mall are really good. 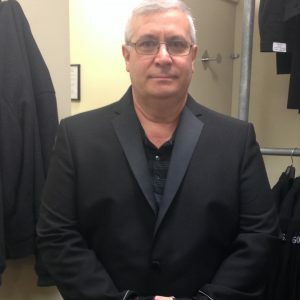 Our store assistant (Bill) made our tuxedo shopping experience very easy! is Beth and absolutely an amazing employee. You are lucky to have her…even when another customer came in..trying to line jump..Beth very professionally explained the amount of time she would have to wait..or come back later or another day. VERY PROFRSSIONAL. George was a real professional. I could tell he knew his stuff. with my fiancee & my 13 year old son & my 1 year old son. Sad to know you don’t do infant fitting. was fantastic. I only wish things were a little cheaper! at Tuxedo Junction in the Millcreek Mall. When we ordered, the staff was patient and very knowledgeable. My tuxedo arrived a few days early and we received a call telling us it was ready. I tried it on and it needed a small sizing adjustment that Tim was willing to do in just 10 minutes. Returning my tuxedo the day after the event was easy. Every step of the process was a 5 Star experience. George did an excellent job. I would shop here again because of the level of service he provided. 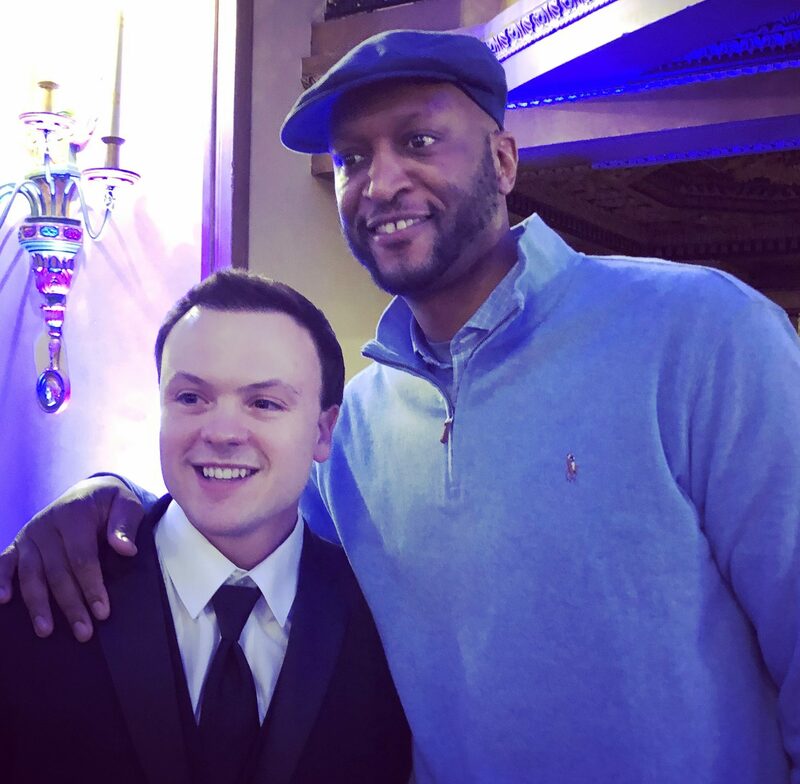 at catering to Bill, who was attending the Night to Shine event. event and I can’t tell you how wonderful staff was working with Nathan, very patient and super friendly! I would definitely recommend this store to anyone in need of renting a Tuxedo. Unfortunately due to HIPA I am unable to share a Photo of Nathan but he looked fabulous and rocked the Tux! with her professional customer service and bubbly personality. 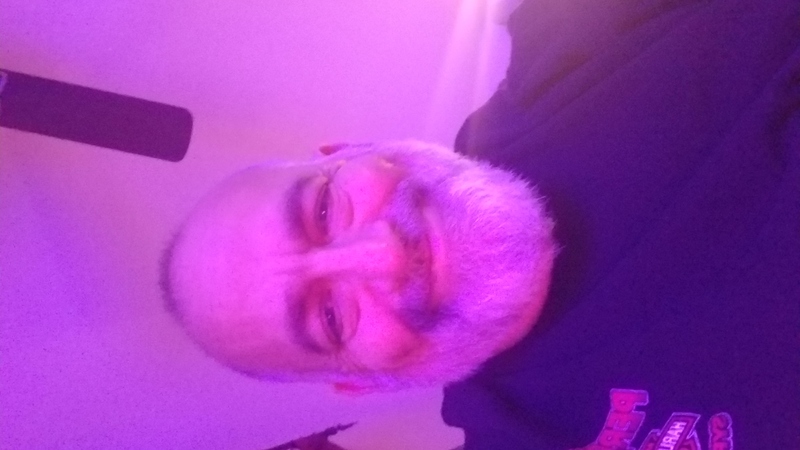 on 2/9/19 when we went in were amazing and answered every single question we had …. throughout the entire process. We look forward to continually working with him. Tuxedo Junction at two bridal shows in the Buffalo area! He was extremely friendly and knowledgeable, we were very fortunate to work with him again in the store when we went to pick styles and colors. 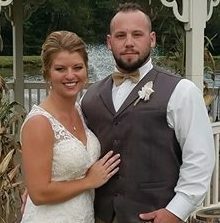 He listened to what we wanted and helped us in the process of making sure all the men in our wedding party look great! and he’s going to have me looking great for my daughter’s wedding!!!! I’m going to look awesome st my wedding! and the numbers I had gotten measured from a third party store did not look right to your associate. So he called me and helped correct the measurements! Very helpful! Matthew is all about customer service. from the moment I went in. Staff was very helpful and understood what I was looking for and knew the companies products. Very well priced and great selection of everything! Got a lot of information and made us very excited for our special day! but I had to wait 30 minutes for my fitting. did a great job start to finish helping me select a style for my event and making sure of a good fit. his winter formal. Everything fit slim and tapered, looked neat and put together. Thank you and we’ll be back for prom. with everything, and made a sometimes stressful part of the wedding experience so easy, with a smile on her face. She even braved a snowstorm to be in for my second fitting. Absolutely wonderful employee and person. and great to talk to. with every visit. Would not hesitate to return here, and would recommend anyone to come here for rentals or purchases. I have dealt with both Debbie and Beth, who have been outstanding. at the North Olmstead location have been nothing shirt of amazing. Exceptionally helpful, and willing to go above and beyond to make our experience better. Would highly recommend to anyone looking to make a rental, or purchase a suit. smoothly. The shoes seemed to run tighter than anywhere else in my life, but that’s why you try them on. Easily 5 stars for service, and especially fit. Everything fit very, very well and the suit looked like it was made for me. 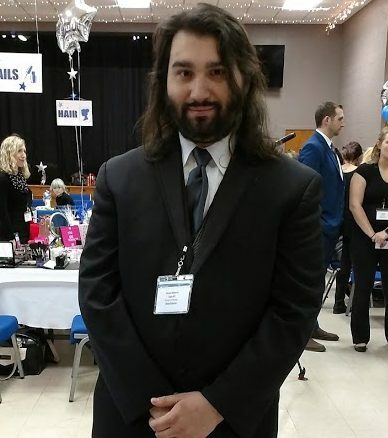 I’m not a super good-looking guy, but I got LOTS of compliments even though everyone else at the event was wearing the same thing. Great job, guys. and waiting upon my arrival for my appointment. I was able to pick out exactly what I was looking for and got a good price. After looking around at many other rental options in the area for my wedding, this was the best deal and gave us everything we were looking for! I will provide an update once we have picked up the suits and gone completed the process, but the initial booking was great! and professional. He took his time with me. 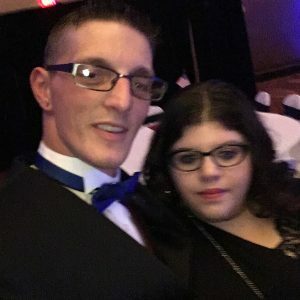 a special needs prom and the staff at Tuxedo Juction could not have been more patient and accommodating. Whenever my son got a bit confused in the process, Tom slowed down and explained each step to him. I highly recommend Millcreek Mall Tuxedo Junction. with my last minute requests. She deserves a bonus!!! 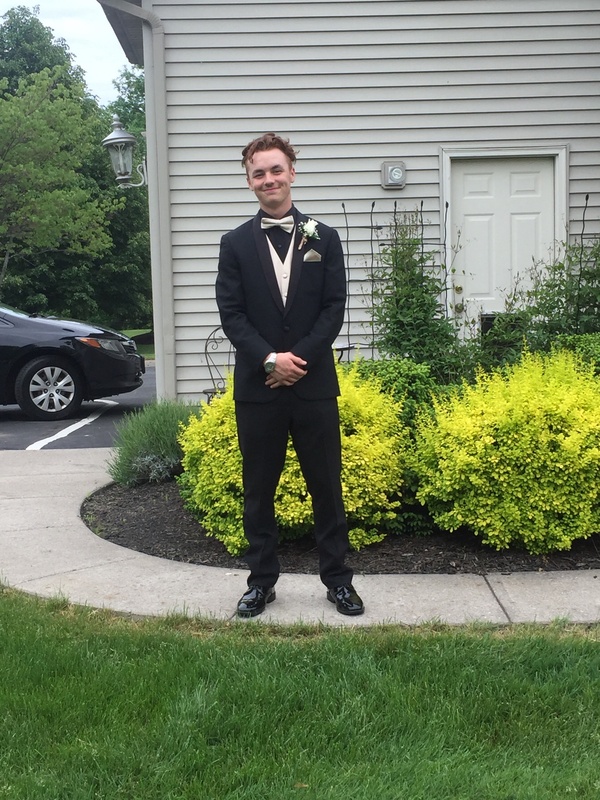 my measurements was perfect and tux fit perfectly, he was courteus and very friendly you have a perfect employee…thank you! to work with. He was very accommodating. The 2 workers where great. 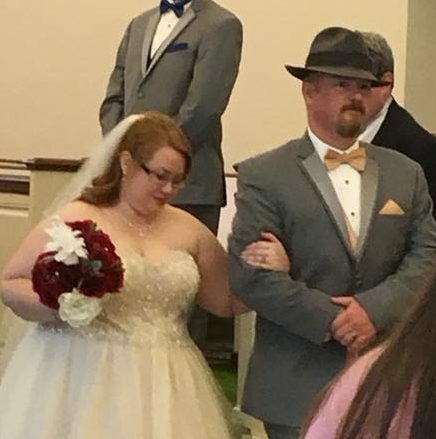 with the entire process, from the first measuring to the fitting to actually wearing the tux.It was the best fitting tuxedo I have ever worn,Thank You. and the suits turned out to look amazing! Staff was excellent on every level. Very professional but went the extra mile to make you feel welcome and made sure the tux fit and comfortable. easily with a phone call. Jake but being in the service industry I must say he was very professional and handled everything making things extremely easy. Knowledge and understanding of what it takes to go the extra for customers was top notch and will send others to your store as a result of his handling the sale. and spoke with Dante. He was happy to help. He also gave us realistic expectations of our wait time. When we got there, he was working alone and had 2 customers that he was taking care of. He did not seem rushed or stressed even though he was by himself. He took care of the other clients like I would want to be taken care of. When he was done, he apologized for the wait, which was not his fault given he was the only one there. He was professional, courteous and friendly. He also was very knowledgeable in his job and answered all of our questions with ease. He made us feel welcomed and handled our visit in a timely matter. We could not be happier. He is an asset to your company. well informed and very helpful. I was very impressed. from Tuxedo Junction for over ten years. Every time I come here, they give the best advice and service. I will always come back as long as the associates keep this consistency of service! Gave them 2 days notice and went without flaw! sangertown location is what makes you better than mens wearhouse!!!! David the guy who helped me was awesome and very helpful when i was picking out a suit. He knew all the details and was fun to work with. I will always be coming here for any occasion THANK YOU!!!! picking up and trying on was fast and easy. Only problem I had was that a button fell off my tux.. just popped right off. I’m glad it was after everything important or it could have made things difficult. Also the shirts was a little big around the chest stomach area. Could have been fitted better, the shirt that is. He was amazing to work with! they would do on a Shoe Rental. My biggest complaint is not being able to reimburse credit card directly and how long it takes to get check reimbursement on cancelled rental item. Good customer service and patience. with the sizes on a few of the tuxedos. The staff went out of their way to accommodate us. They were friendly and very helpful. A job well done! i Know and He was very Helpful. He was able to answer all of my questions fully. I Thought he was the manager but he said he wasn’t I appreciate his help. had so much fun trying on tuxedos for our wedding. Would highly recommend them. PA location yesterday with my fiance to help him choose his and his groomsmen’s tuxedos for our wedding. The staff was so helpful and so easy to work with! 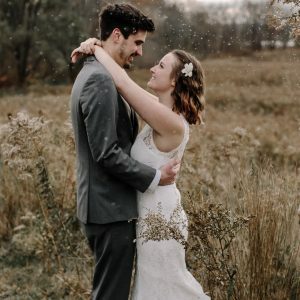 They explained everything about their services, let us get creative with our options, and were so patient while we went back and forth between colors until we found what we loved! We left feeling important and cared for, and that we won’t have to worry about their tuxes fitting or being right. Thank you guys for being so awesome and helpful! The guy knew exactly what he was doing, and got me what i needed especially with it being on such short notice. and really listening to us and providing us with exactly what we wanted with our rental. Really happy with your service again. Keep up the great work. considering I needed this tux last minute. A+ customer service. Suit wasn’t right first time in. at the South Hills Village mall location. They were friendly and very knowledgeable about the products available. was a very nice and helpful young man. Was promptly and courteously served. Fitted and paid in no time. Very well run operation and great staff. store was wonderful to work with and so accomodating!! that I received from the employees at Tuxedo Junction. My tuxedo was ready to pick up in a good amount of time before I needed it to use in a wedding ceremony. 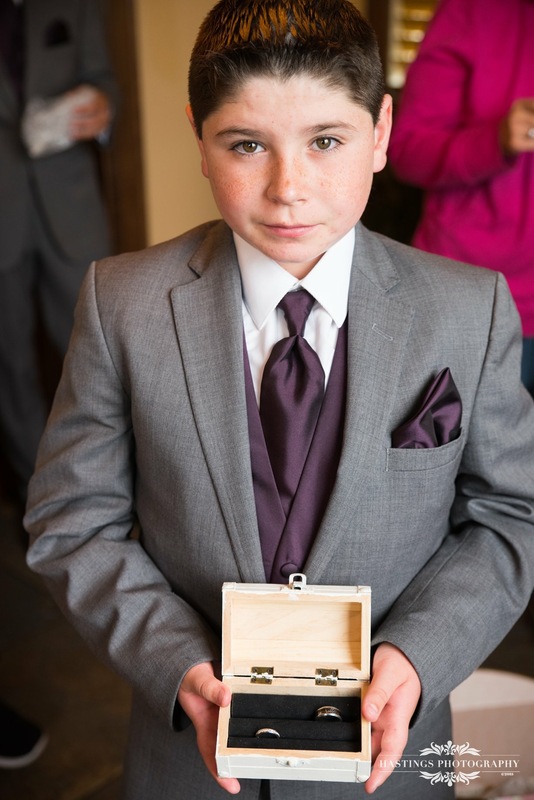 The tux along with the accessories were in good condition. and staff was right on with measurements. Tux/suit fit so good my wife wanted me to buy it but being a newer model we were not allowed. Staff could not have been more friendly. Great job! of Tuxedo Junction for one main reason. Customer service. Your team does a great job, always pleasant and helpful. did a stellar job and everything went off without a hitch. a bowtie a week before and they were able to do it. I had several guys that couldn’t go in for a second fitting and they got the fitting exactly right so they didn’t need it. They allowed me to take it back on Monday when I was too busy to do so on Sunday. The service was friendly and everyone was very helpful. (possibly store manager?) at the Eastern Hills Mall location was outstanding. I will definitely go there again the next time I need to rent a tuxedo. was friendly and professional. The suit I’m renting is nice and the price was fair. measuring to the pick up making sure everything fits properly! with the tuxedo and the employees at the shop. Great staff, clean and comfortable tux! Jessica & her crew were great! Could not have done a better job…I was very, very pleased all the way around. on transit road was amazing! Super friendly and helpful. All of the groomsman who picked up at this location knew her by name. It almost felt as if she should have came to the wedding with us! The suits were great too! were very helpful and made the trip somewhat fun. Easy process and no alterations. Ended up being a fantastic day and our sample photos look great. Fixed both small issues even before I had to mention it. Thank you guys!!!! Great manager who took our measurements! but I wish the tux came with socks. especially now that the suits come in earlier for a first fitting. Jeremy was a great help. All the parts were there. Suits were great. Shoes a bit worn in. The staff were very professional in their ability to ensure the right fit of my tux. I was very pleased with the care and cheerful attitude afforded me. 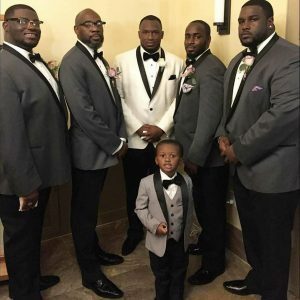 I had 7 groomsmen and 1 junior groomsman. Everyone’s tuxedos looked great and they were able to get me a 4X vest with a back. went as smooth as it could have!!!! last minute and John and his crew made it happen! of me was great! She seemed happy to help, and made the process very easy and smooth. I don’t think I should be charged more to fix that when my measurements were taken. Apart from that, everything was fine. They checked in with us a lot just to make sure everything was how we wanted it. All the tuxes fit great! and wedding party to try on a few different style tuxes. If the size jack or pants were a little off they took care of everything for us and got exactly what was needed. 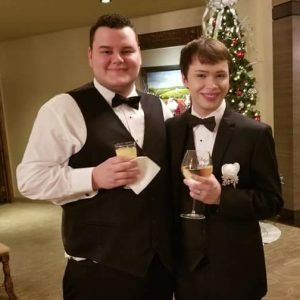 Rented tuxedos multiple times from TJ. Highly recommend and will return when a tux is needed. I was in this year. The other place’s tux didn’t even compare! For the price, this was an awesome tux! Had great customer service. I would definitely recommend. Thanks guys! almost a week early, which really streamlined my wedding prep process. Thanks! Bernie and Gabriella were amazing!! at the Great Northern location. Process was easy and quick. were incredibly friendly while my friends and I were fitted for our tuxedos. all the folks at the Boulevard Mall location provided outstanding service. While I’d like to call out one particular person by name I cannot simply because they were all great. As well, facility was clean and well kept. Reflection of great management who have a passion for what they do and know how to inspire the entire team. and got nothing but compliments on it! Thanks for making the ordering, sizing, and return process so easy. Dante was a great help. He was quick and efficient. There was another customer in the store when I was there but he did a nice job of handling us both simultaneously. got it fitted and adjusted on a short notice. Staff was very friendly and helpful. with brown shoes! You guys make events chaotic-free! 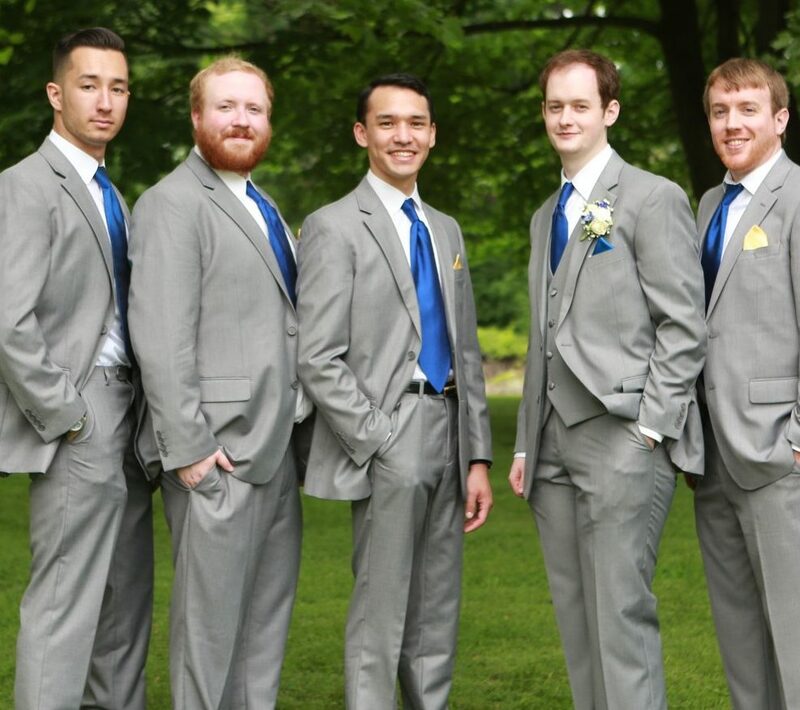 I was easily the best looking groomsmen..
and gave useful suggestions. Will be coming back!! a piece of cake. Thank you! great deal that I got by attending the bridal show. Sarah from the N Olmsted location was great to work with and even fixed an issue I had with my vest that I did not think could be fixed. Thank You! only small hiccup with missing pocket square and they drove to my wedding venue to drop off!! They went above and beyond!! The suit was great too! Great job, everything was perfect. The respect,kindness & understanding shown by your staff, Gabriella,Bernie & Melissa was fabulous. at the Walden Galleria location was on top of everything. I felt that she went above and beyond making our experience with the company good. We look forward to working with her again for our wedding in December of this year. Great experience. KK & KK. tux looked good. The only drawback was no pockets to put stuff in on the jacket. location was fantastic and a huge help. the guys all looked so out together. Thank you! my son is extremely skinning and tall- so financially this makes sense . We have always had a positive experience and your staff is beyond helpful !! They got everything done in a timely manner. Very nice people to do business with and would recommend them to anyone needing a tux or suit in the future! at getting customers through, even when staffed alone. and the staff was amazing thank you!!! The Best! Won’t go anywhere else! was very professional and efficient. Very great experience. came in on time even when pants, shirts, etc. had to be adjusted. Thank you!! My Name is Joy Kuhn. I wanted to says a special thank you and a job well done to Ashley store manager from south hills location and Tim from Millcreek Mall Location! they both were absolutely wonderful! Both of them provided the best costumer service i have ever experienced ! 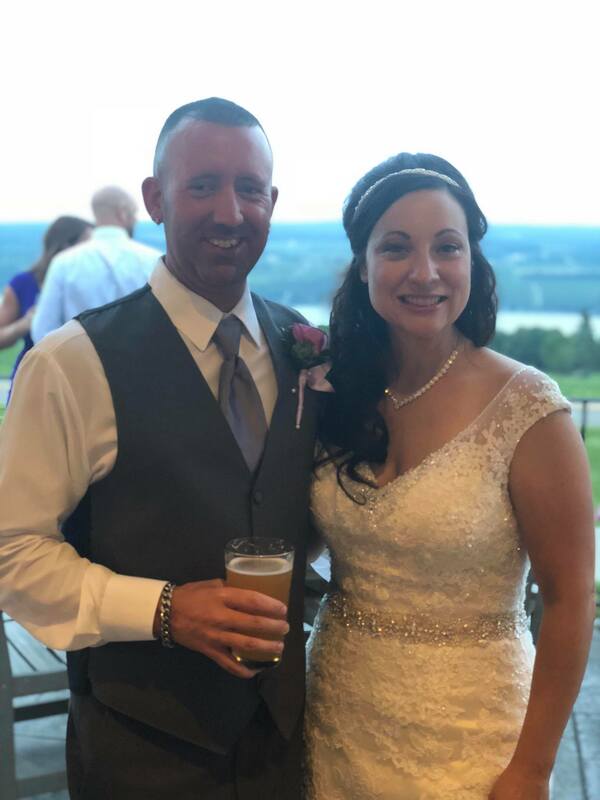 Thank you for making our experience wonderful and making everyone look amazing on our wedding day ! a special final thank you from Allen & Joy Kuhn! a perfect match to my dates dress!!! went back to get my suit and it was perfect . No problems what more can you ask for? great to deal with. Explained everything well. One time and it fit perfect. Dude was a legend. Thanks tuxedo junction! great selection – took the time to measure and then re-measure to make sure the pants would fit (hopefully they will when the pants come in this week). Looking forward to a new ‘go-to’ place for our formal ware needs! My experience with Tuxedo Junction was great! 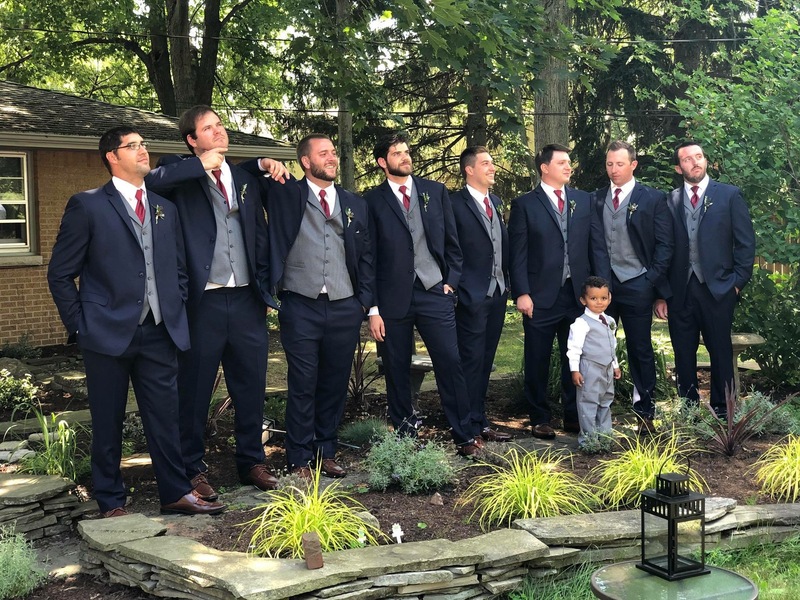 Myself and all of my groomsmen are from NJ and the wedding was in Cleveland. We were able to submit our measurements online and were regularly contacted to confirm or alter measurements. 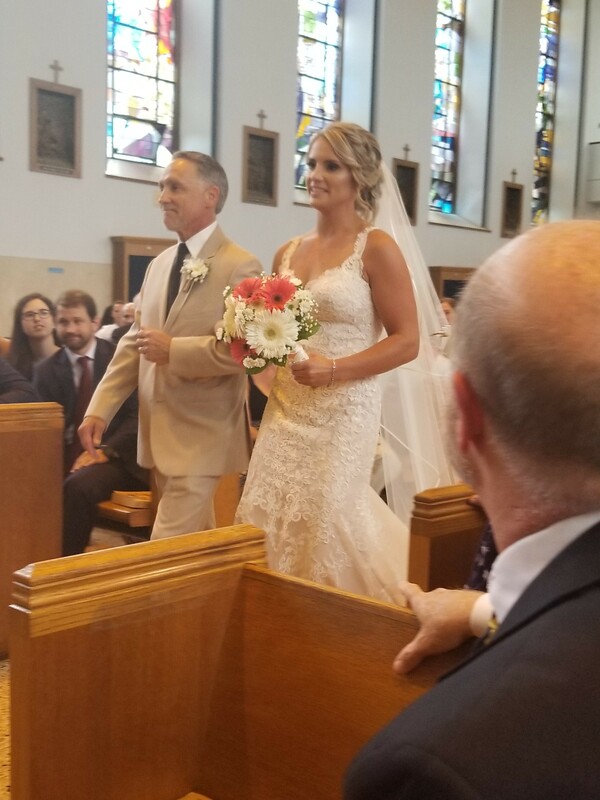 When we arrived in Cleveland a few days before the wedding, the staff were very helpful and made all of the necessary small alterations to ensure everything was how we wanted it. and everything was right when I picked it up. the collared shirt I wanted.and I did get my suspenders. bad about anything the tux and suit that was used turned out perfect and looked great on everyone. I will defiantly tell others how great you are. made sure everything fit properly and comfortably. both Monroeville and South Hills! made everything for our day simple. Great service! Tux fit perfect. to ensure the suit fit correctly and was available on time. They delivered the vest that was needed the morning of the wedding! Outstanding service ! Thank you! 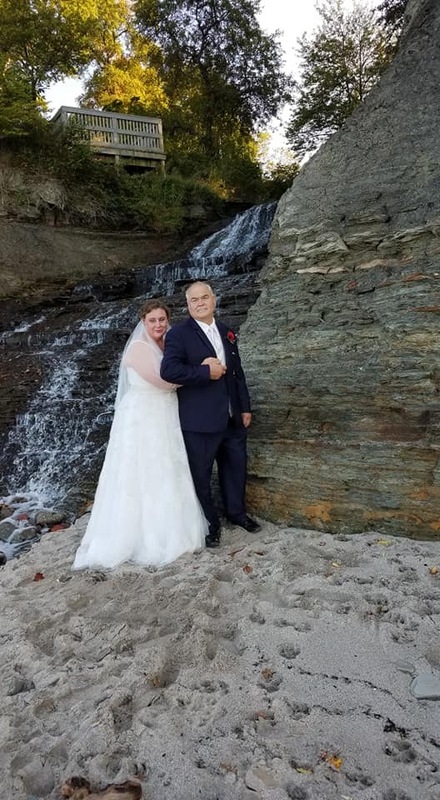 but had to be in wedding in Syracuse, NY. The crew was very helpful in the fitting and follow up process. Everything worked smoothly and the Tux fit was perfect. When I got into town they even included two sizes of shoes so that I could pick what the more comfortable size was. The pick up and drop off process was so quick and easy. Thank you!!! because I have muscular legs and a narrow waist. I also have broad shoulders. The consultant took the time to make sure that I was properly fitted and comfortable in the clothing. She also offered helpful suggestions for selecting the accessories. Very knowledgeable & efficient. Great experience so far! made the experience very user friendly. 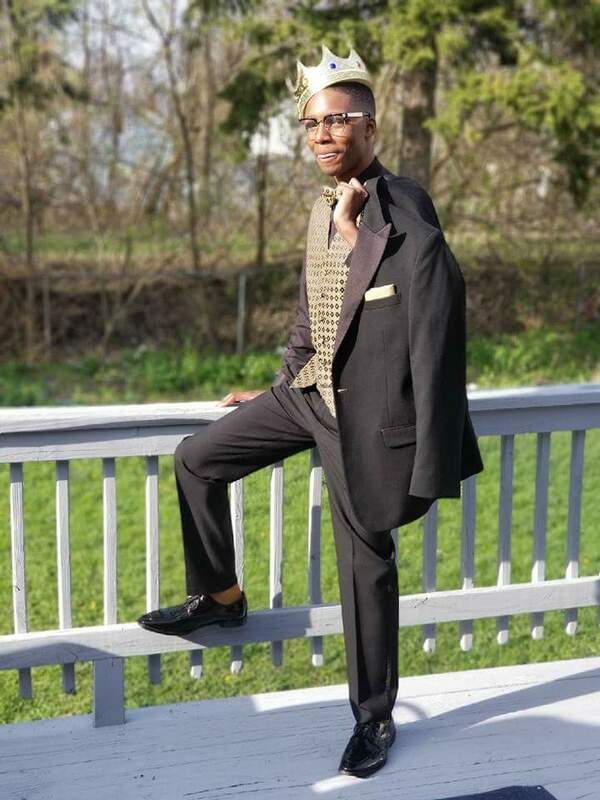 with the suit I purchased, and the rented vest, shirt, shoes, and pocket square were high quality and looked great. The staff I dealt with were all friendly and helpful. My groomsmen and I had been told we would pick up our rentals on Friday, but all wound up scrambling a bit to go in on Wednesday and Thursday for this second fitting on short notice. I liked this opportunity, as a couple of them needed adjustments, but I would rather have been told that it would be an option or recommended prior to the week before. I did not like the online portal that showed me my order. It was more difficult to use than it should have been. Additionally, the contact the store option via email was nice to have, but I never received any responses to a couple emails I sent, and when I went into the store to discuss it, I was informed that they’d seen my email. So why didn’t you respond? 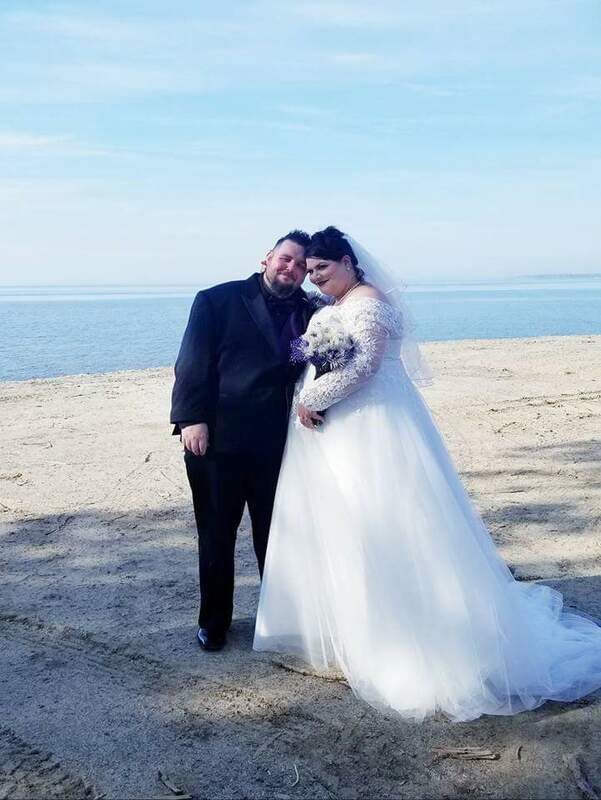 Overall, my experience was positive and I was very happy with the way I looked on my wedding day! Great option to rent vs buy. Reasonably priced and great service. Nice fit! except my suspenders did not fit. Julie and Mark were great! 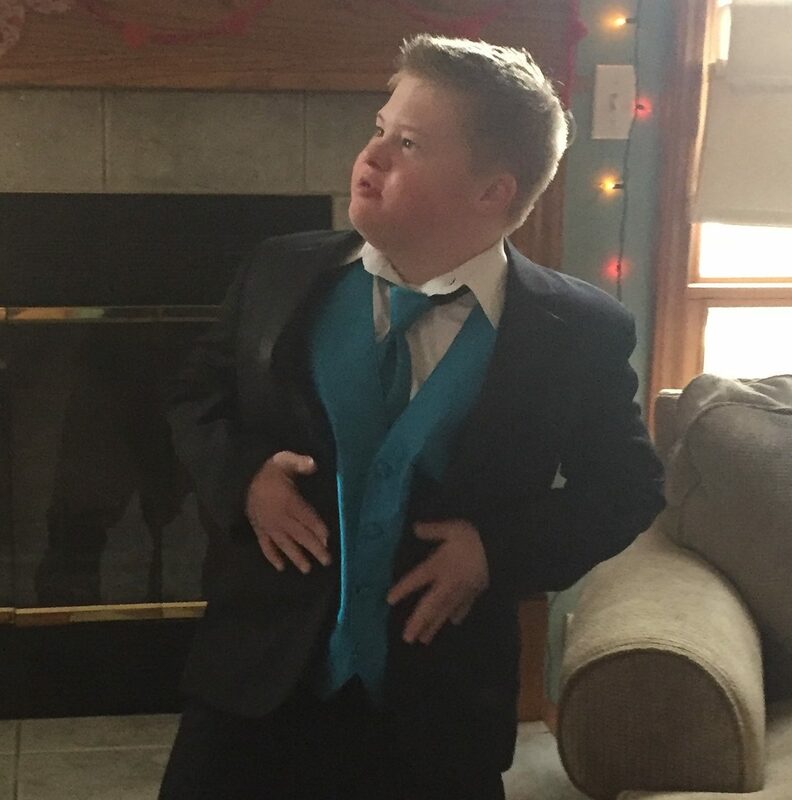 My son request to go here for all dances because they fit him so well!! Helped me and they were both very personable and professional. Service was excellent, i gladly recommend the North Canton location to anyone! minutes. Thanks to Ashley and Tuxedo Junction! in early was very nice. Turned out that shoes did not fit, the right size was ordered and available the next day. Only complaint is that the pants had a double crease. was awesome! Great experience. Thank you!! feeling deflated. The lady was not listening to what we were telling her. When we walked in your store it was the complete opposite! Our lady was so kind and heard everything we told her! She was happy and even though there were other people in the store her main focus was on us! We will be back for every rental from now on! 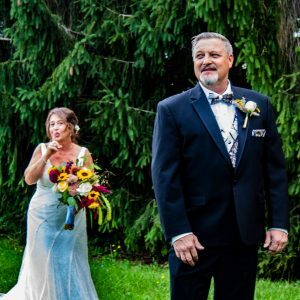 She was very professional, accommodating, knowledgeable and personable…which made for a great experience, especially with my last minute decision to rent a tux. The quality of the clothing was exceptional, and the value was amazing – so it was a perfect experience! I won’t need to even think about where I will go next time! Nice work….Thank you! at the store in Boulevard Mall. All the staff was amazing! The whole experience was great!! Good measuring the first time..
were very good…during both fittings and the return. Guys at store helped me carry tux out to my vehicle. Many thanks! Excellent staff. for my recent wedding, I searched around for an appropriate vendor. After speaking with representatives from a variety of companies, I was happy to choose Tuxedo Junction at Great Northern Mall. The employees were polite, knowledgeable and capable. Additionally, TJunction had a large selection of slim fitting tuxedos, and a variety of appealing color palates. The rentals looked great during the wedding, and held up well during the raucous reception. 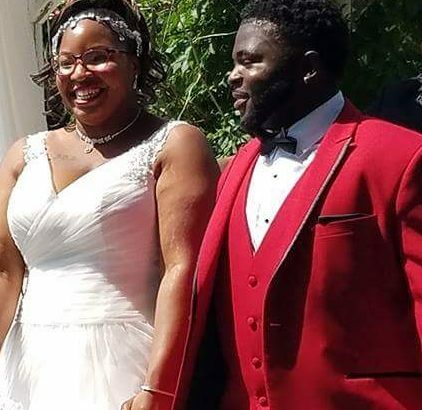 Due to the fact that the wedding was out of town, the company allowed up to return all rentals one day late free of charge. They went out of the way to assure our satisfaction. 10/10 would rent from them again if I have another wedding (here’s hoping that doesn’t happen)! and courteous. The tux looked great and fit great and was timely. Organized, quick, sharp looking tuxedos. Attendant was polite and efficient. I believe her last name was Pelosi. The boys all looked great! customer and submitted my measurements through the website. I received a telephone call the next day confirming my order and answering my questions. Great customer service! in a professional manner. My complaint is, the guy doing the fittings had 7 of us to take care of along with returns coming in. He did all this alone! He needed another employee. Your stores need at least 2 attendants . They turned this last minute stressor into laughter and smooth sailing. the fit, style and shoes were comfortable. to work with. Very professional and always willing to assist when needed. location was very helpful and accommodating. We went in to get tuxedos for my wedding and had no clue. Connie helped us along every step of the way and was quite humorous. The manager and staff were great. 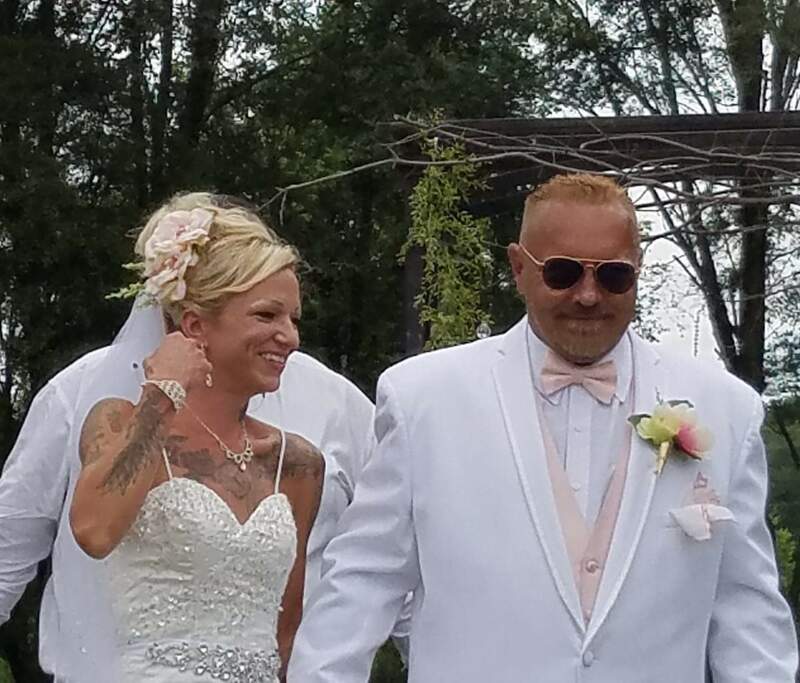 We had a large wedding party & some of them were from out of state. They made sure everyone was fitted properly. They were always courteous & respectful. They made sure everything went without a hitch. answered all of my questions to my satisfaction. Friendly and helpful staff. Clothes fit perfectly. store really went above and beyond to help me get the correct tie the day before my wedding. Thanks! he knows what he is doing. The price is excellent. Loved the fit of the suit and the person who helped us was knowledgeable and friendly! were very helpful and shared my excitement about the event I was renting the Tux for. It made the whole experience fun and exciting. Thank you!! 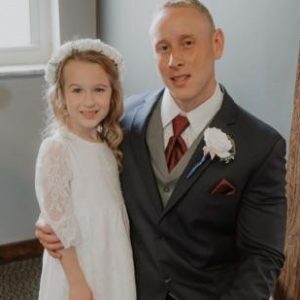 and he worked with my son to make sure he would be comfy for my sisters wedding..
Would definitely recommend tuxedo junction in monroeville. and we were able to make any changes and still get it on time. as I expected and everyone loved them. They were nice and clean wouldn’t have asked for anything better. Personnel very polite and helpful. nothing fit but the shirt. They overnighted the correct sizes for pants, coat, and shoes for Saturday delivery at 9am and it arrived and fit the day of wedding!! Shirt had stains on it so ordered another one for me. However that shirt didn’t fit as well. So, you ordered one very late on Fri. for a Sat. wedding at 2PM. Came in overnight but I didn’t have time to pick it up so you delivered it just in time. That was awesome. Everything else fit perfectly and I looked great. Numerous compliments. Thanks for doing everything possible to make our day! Had a great experience here all around. The fittings were a breeze and the suits fit very well. Was very impressed with the wide selection as well, very happy to find exactly what we were looking for. to make the experience a efficient and enjoyable one. Excellent service Helen and Kevin were great. They even made sure that we had no issues with anything leading up to the wedding the week of. he was great with fitting my son for his Tux. Professional all the way, I would highly recommended Tuxedo Junction. David was very polite and knowledgeable. He made the process quick and easy. As long as David is at tuxedo junction I would recommend to anyone, I might do my wedding here too! Thank you Sangertown store! Then entire process of renting a complete Suit with everything except socks and underwear was a no hassle and pleasant experience. 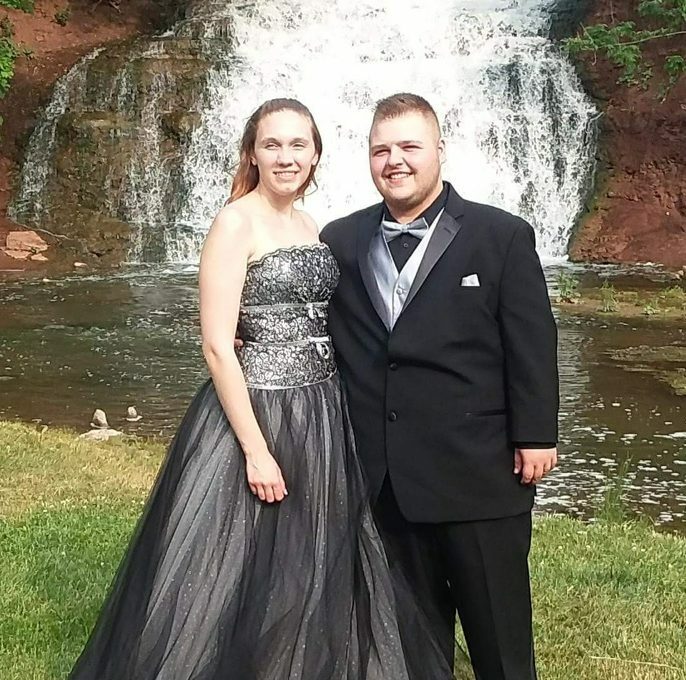 I would recommend Tuxedo Junction to anyone needing to rent a tuxedo or suit for a special event. from the rest of the pack. Many businesses say “satisfaction gaurneteed” but dont live up to that line: Tuexedo Junction does. Friendly staff and wonderful service. from your company, and everything was ready on time. Made the whole experience less stressful, and completely wonderful. for a cosplay bit as Kingpin (Wilson Fisk) during Steel City Con. I highly recommend their services. location- was fantastic to work with. He made our experience stress free! was Amazing !! Also made things easy! was very helpful and professional. Quality customer service is alive and well at that location. 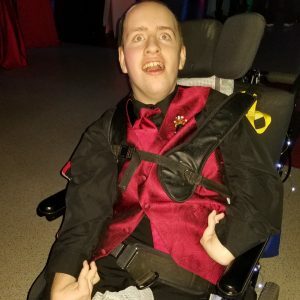 I’m disable and they help me with my tuxedo fitting without hurting my back or leg. I thank you Tuxedo Junction for all your help! Very fast and knowledgable service. to get fitted for a tuxedo. The woman working went above and beyond. She was extremely friendly and personable with us. We definitely will consider Tuxedo Junction for future rentals. Jeff did an awesome job. Jeff was knowledgeable and very informative. The entire staff made us feel well taken care of. The suit was very nice, great quality. Thank you! was very helpful throughout the whole process. You will continue to receive my business! She made some very quick adjustments and remedied all the initial problems we had and got everything in with plenty of time to spare! Thanks again! was an excellent help in everything we needed. was very kind and helpful and the tuxedo looked fantastic with my date’s dress. 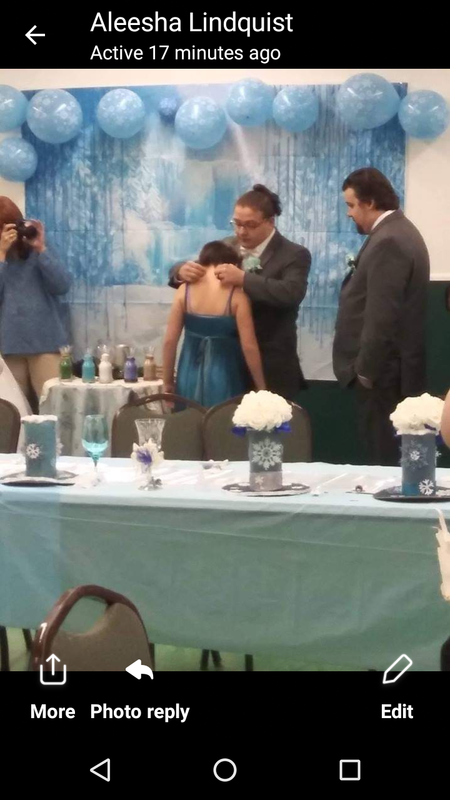 I was shocked with how well the colors matched since the dress was a unique blue color. I thought the shoes could’ve been in a little better condition and a little more comfortable feeling. Other than that, my overall experience was very good and I would certainly return again! we came in contact with. Rented a tux for graduation. 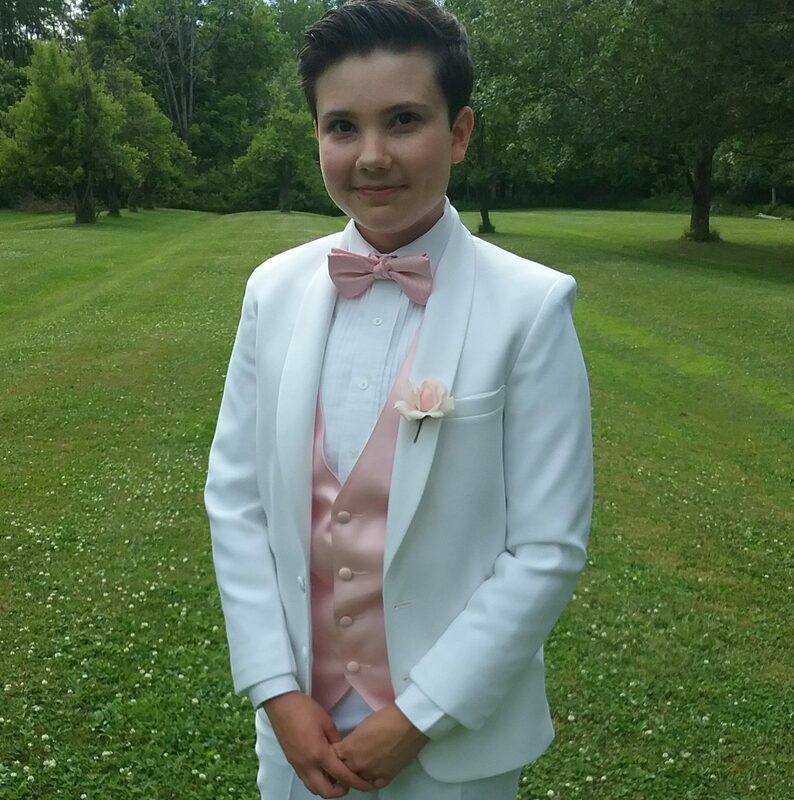 Not only did the tux fit great, but all the extras (cuff links, button covers and shoes) completed the look. All the boys looked great! Matt at McKinley Mall was great to work with. Pick up and drop off were easy. were so wounderful and helpful. and professional. The tux was great and so was the service! some background music so people dont listen to each others conversations. kind, and worked with us to ensure our stratification..
was very good and very helpful. Thanks again. The staff is absolutely fantastic. They were friendly and professional. Could not have asked for a better experience. They were responsive, receptive, and welcoming. They answered all of my questions, handled a large group of groomsmen and ushers. Tuxedos were on time and for very well. I will recommend and use tuxedo junction again. was amazing! Honestly the person to model your franchises at! felt great, looked great. Completely happy with my experience and the friendly service !!! did a solid job. Some tuxedos came in with sizes not quite matching the original measurements but it’s completely understandable. It’s hard getting sizes exact especially when people are sending in their own measurements from out of town. You guys did a great job and the folks at the boulevard mall location were great. Thank you for your help! Tuxedo Junction are excellent at what they do! 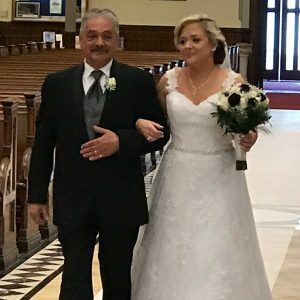 for making our daughters wedding a wonderful experience. Fitting and quality were absolutly awesome, easy, perferssional and perfect! 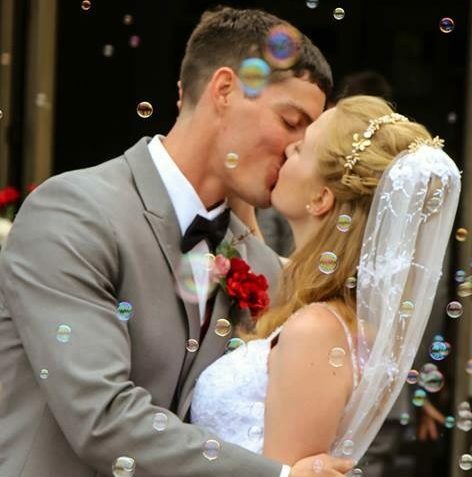 Everyone looked perfect, I strongly encourage everyone to get all the wedding supplies at Tuxedo Junction! I had and extremely helpful. Made sure everything I needed fit well. with all of our groomsmen, we couldn’t have asked for a better experience. I received so many compliments. 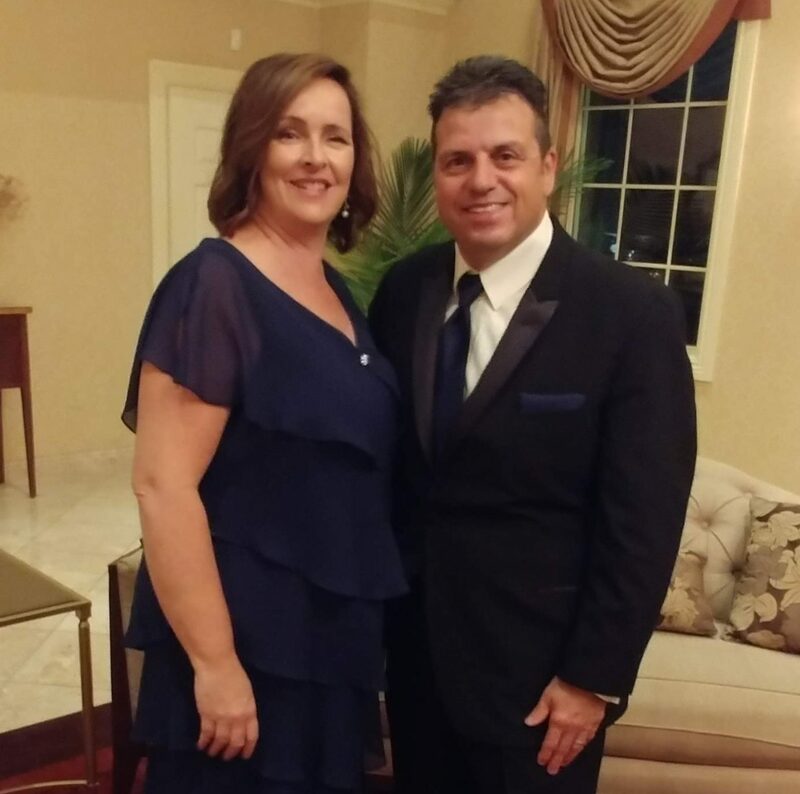 Thanks for making the dinner dance a success. Very understanding. Forgot the bow tie. Let me bring it back the next day with no extra charge. Thanks! tux for prom. We were greeted warmly and taken care of immediately. Mr. Matthew Yee gave us several suggestions regarding color, style and best options for my son’s very tall, very slim frame. My son is on the high functioning Asperger’s Spectrum and has a tendency to overshare opinions and overshare details in a way that appears to be talking over others. Mr. Yee did not even know this detail and treated him so kindly and gently that he is definitely an asset to your company. He was even able to convey the reasons certain styles or colors would be suitable for his needs. My son is “prone to bouts of strong opinion” but was so comfortable with Mr. Yee that he actually listened and took his advice. 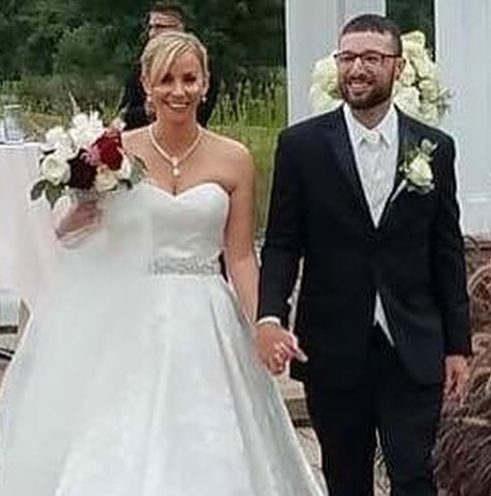 As a wedding party came in for service shortly after,, a young man named Jeff Tobolski took over as we proceeded with the payment process. He too was extremely kind, patient and helpful, as well. The entire process from walk-in to payment took no longer than 30 minutes. I have never been so pleased with a shopping experience as I was with this one. Both Mr. Yee and Mr. Tobolski were professional, knowledgeable and extremely personable. I would recommend this location to anyone. I am satisfied 100%. No problem with anything. Must have been a good tux because I was even told how handsome I looked that day. Now that’s saying something. Everything was very good. Thanks. Tuxedo Junction is Sarah! Top notch customer service, easy to talk to and incredible at problem solving. 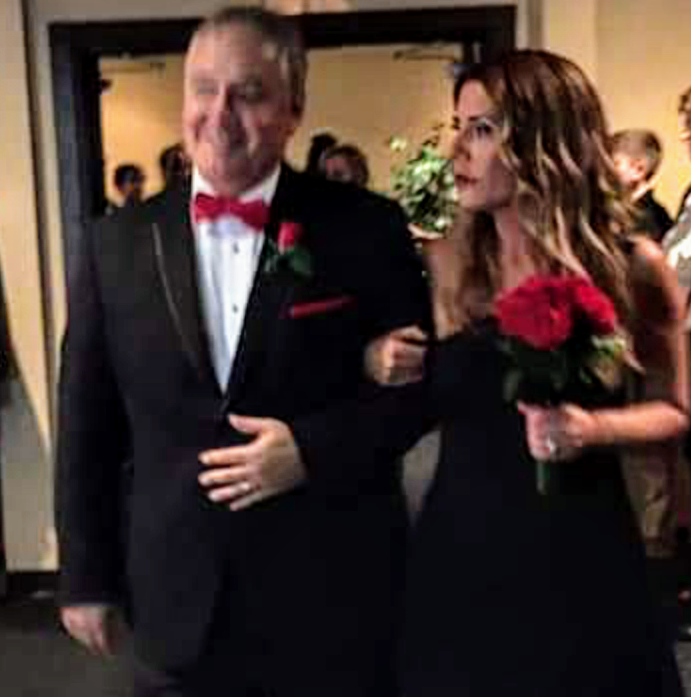 We had a few issues with the tuxes that we ordered but Sarah walked us they every step of the way. If you need a tux for a special event just ask/request Sarah. I was the Best Man. When I went with the bride and groom for my fitting, we ended up totally changing the outfits for the guys (for the better in my opinion!). Jake helped us select the new look and we were very happy with the result. Also, the tuxedo fit me like a glove, all alterations done perfectly. Couldn’t be happier–thank you, thank you!!! All the personnel were great. Barry is a professsuonal and his service was deeply appreciated!! Overall good experience! The staff were very kind and helpful. Sue in particular was vigilant and accommodating, and we would not have had a successful wedding without her. and looked great the day of. The staff were all really helpful, and very kind, even when the store was busy. Even the return was quick and easy. 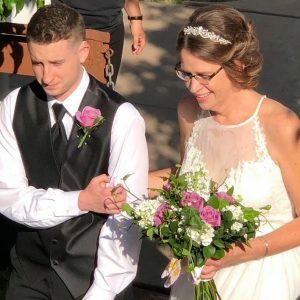 Thank you all for helping to make my mom’s wedding special. The tuxedo fit and was comfortable. The staff at the store was very helpful and made the experience painless. I am looking forward to coming back and getting fitted again for my wedding in October. Everyone was very helpful and friendly. Will definitely be back again. were way behind on getting tuxes for my sister’s wedding. 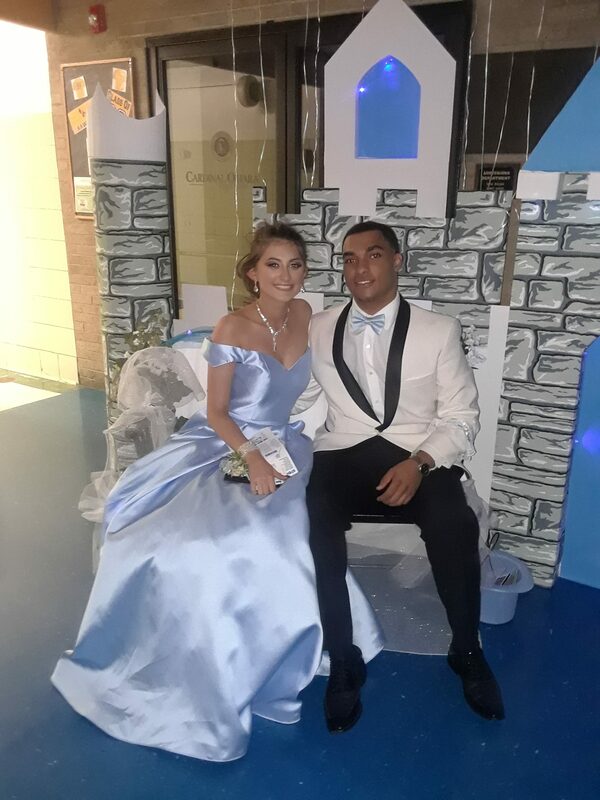 We walked in on a day that was swamped for prom tuxes. There were absolutly no worries, we were taken aside and fitted right away (Not the first time they have done this for us) and were out of there in 30 minutes!! Can’t say enough great things about the customer service we ALWAYS receive from there it is one of the many reasons I go back to that location!. Thank you! Staff did a wounderful job! that made for Great memories! love the staff on the boulevard very nice, friendly and professional!!! experience. there were no problems and the staff was great! a week apart and they took great care of me. I was pleased from head to toe!!!! Thank you ???? and made necessary adjustment right then and there. Looked great for a fun night. The gentlemen who work at Tuxedo Junction on Route 31, Clay, New York were pleasant and very helpful. Returning the Tuxedo was an easy drop off. they helped me pick out the perfect tux,vest, tie, color everything making my prom amazing. and got fitted for my tux. It fit perfectly and arrived in two days the only thing I wasn’t a fan of was the price but it wasn’t that bad. at Tuxedo Junction. 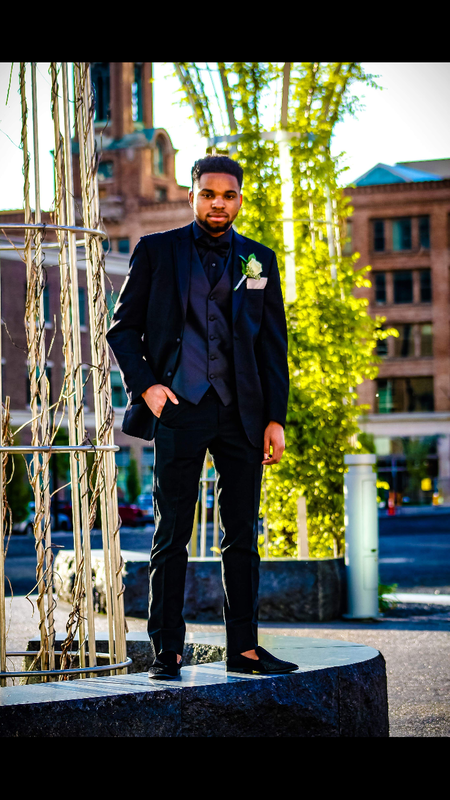 Came in less than a week before my event and was able to get a great looking tuxedo without any rush fees. 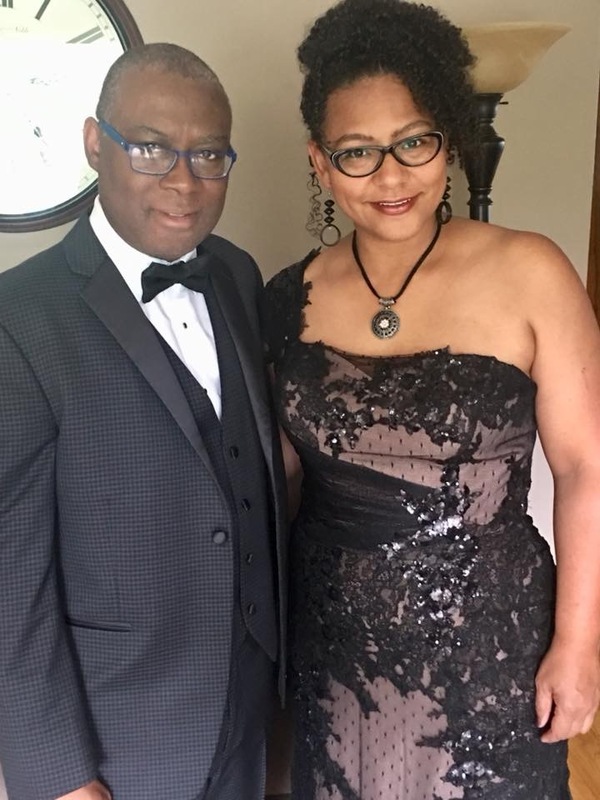 My assistant formalwear consultant, Constance, was very friendly and helpful; she was able to help me perfectly match the colors to my date’s dress. I will definitely be recommending Tuxedo Junction to my friends. a tux and your staff was excellent! Very personable and helpful! professional and knowledgeable! 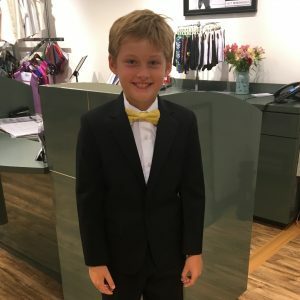 My son and I were in and out and very happy with the Tux fitting and everything! and caring and understanding. I was given feed back on what matches and what might look good for my prom tux, was over all a nice experience! 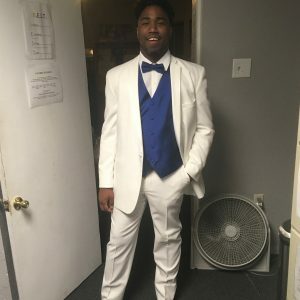 for my son’s Prom tux rental! in preparation for my wedding on 5/26/18. From Paula Nelson whom I originally met with back in February to her great staff of Bryce, Hannah and the rest of the team at Tuxedo Junction at Walden Galleria Mall. A Big thanks to all for making it special. and I received many compliments of the tux I wore. Will rent from them again in the future. for hours!! Got many compliments!! and I had to wait some time to be helped….staff was excellent, kind, and very knowledgable. 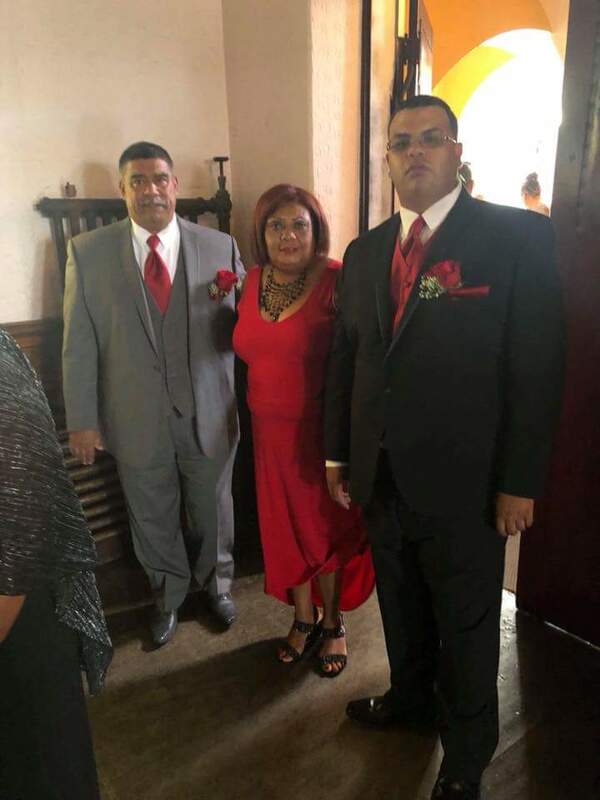 for my wedding were a perfect fit, looked amazing & of good quality. by Nancy are what customer service is all about. 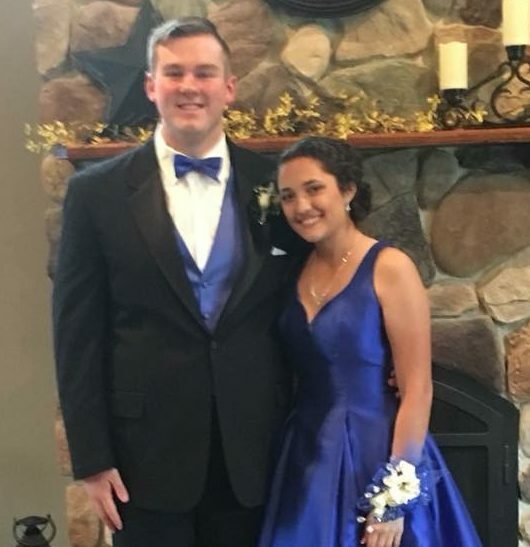 Her friendliness, knowledge of products, ease and comfort provided will ensure my son having an amazing time at his Senior Prom! 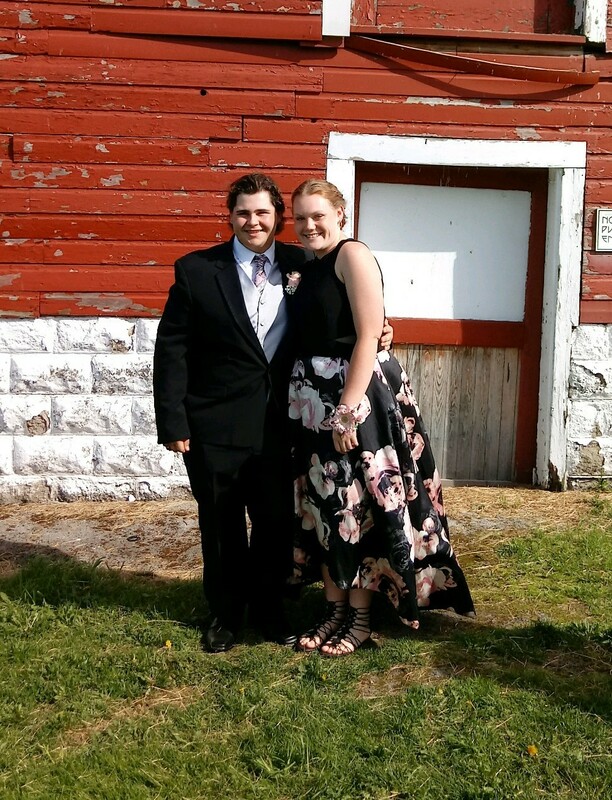 She made the process exceedingly easy and worth the wait when we pick up his tux! some old friends I used to go to school with. Dante is a great guy, helped a lot! l in and out in minutes great customer service!!! they fixed ASAP, even though I may not have been the nicest she was super helpful and for that I am grateful. looked great. All arrived as measured except for 1, which was kept for an additional day and corrected. Getting everyone measured was quick and easy, even for out of state parties. Would certainly recommend. Tux look good fitting was great. No hassle return. They helped me Out with everything! It was good. Felt welcomed. Rent bow tie/ hankie,order a tux- shirt. We were well taken care of and helped quickly. to the point. Cant remember his name, came in Sat am. Made it all very easy. was very friendly and professional. My husband is a big man and she was very considerate of his feelings. The store was very clean and organized. A total good experience. were very accommodating with last minute changes. Would have preferred to not have to spend the $20 dollars but was aware of it ahead of time. and made sure I was satisfied with my purchase. My shirt was a little tight and they ordered another one for me which came in very fast. Great service, cheap, and efficient! 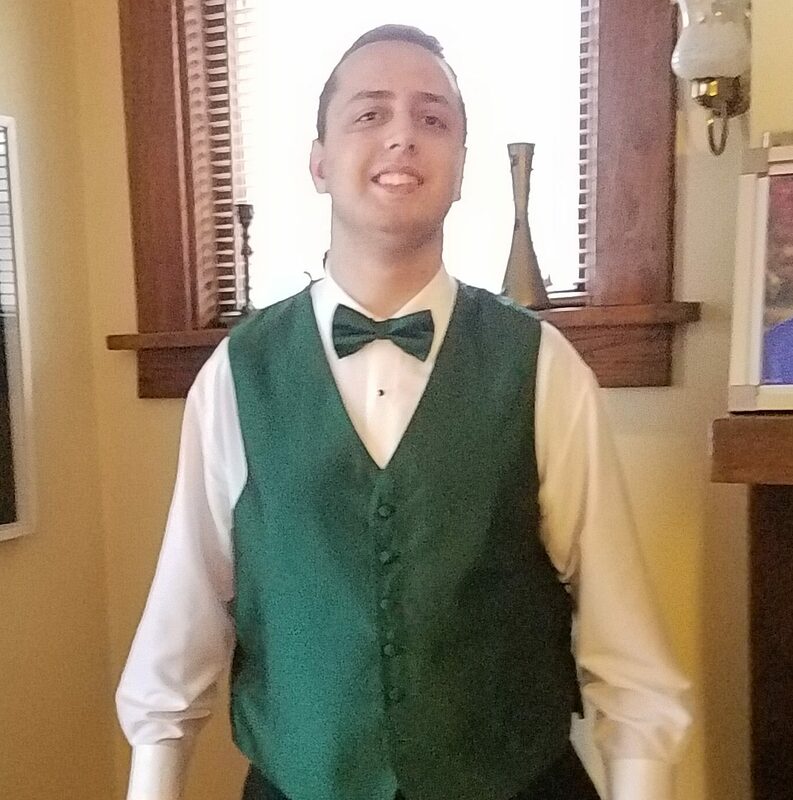 to get his tux for his prom, everyone was very friendly and very helpful. and the lady knew exactly what she was talking about and knew what styles to choose. Very knowledgeable. We will see how it works out when I go in for the fitting. Very friendly and upbeat staff. Tux was great, matched perfect. Ordering, pick up, and drop off all went smoothly. Needed an item and they delivered it to our house on time for the big night. Tuxedo Junction was the best choice for my high school graduation. The service from coming in & telling them what I needed to taking my measurements & being fitted was excellent. Thank You Again! I really appreciate your help! Showed me a wonderful selection of suits. of me made me feel pretty special. Paid close attention to detail which really impressed me .Great store great people .. Thank you Samone and Tuxedo Junction ..
on helping us pick the right tux. that we were taken care of and that all choices in styles were all offered to us. in a 2 week period…Do not understand why he has to have a second fitting if he will be using the same color jacket and pants. Please advise. helpful, would go go back in a heart beat. was fantastic and he even went into the back to find a different style of brown shoe that we might like better. The wedding is July 14, 2018 and we really appreciate his attention to detail on 5-17-2018 we were one of his early coustomers. was helpful and did everything in a timely manner. and engaged in slight conversation so the measuring process wasn’t awkward. The prices aren’t outrageous and the tux was comfortable. to fitting to prom. Staff was great! Thanks everyone! Got exactly what we needed. Every employee was extremely helpful! I actually went between states, renting in NY and returning in PA. There were no problems and the suit was comfortable and great looking! 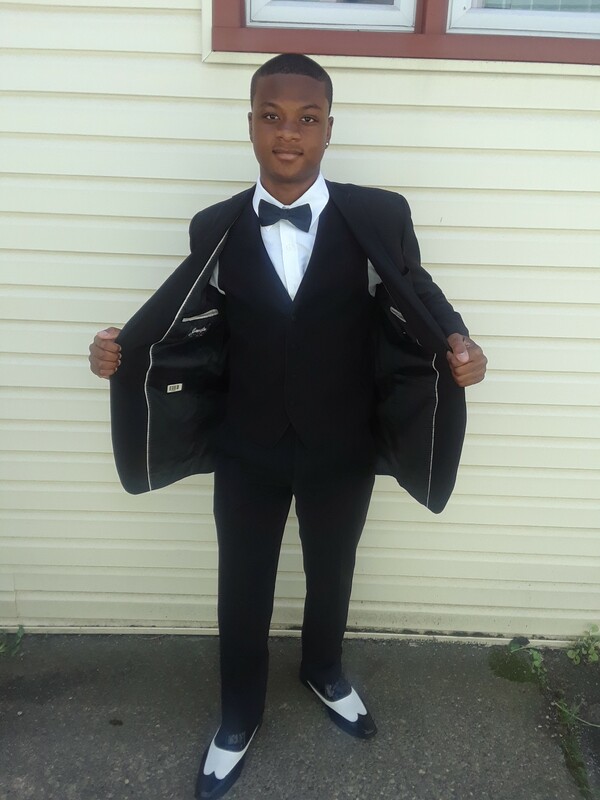 with the Tuxedo and the job fitting it and service we received from Tuxedo Junction. 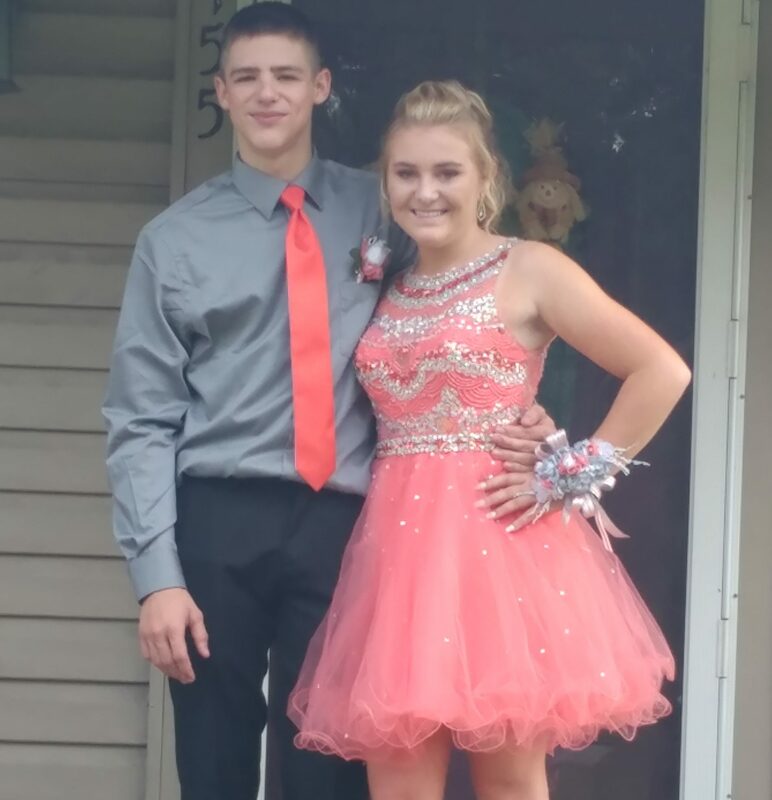 My son felt so great in it and had so much confidence going to his dance. The only problem is that he wants to dress that way every day. Thank you !! at the Easternhills Mall location in Williamsville NY. She took her time to make sure the tux fit properly. When I decided at the last minute to switch to a bow tie, she had a couple of options waiting for me! Now that’s awesome service! Thank you Nancy. experience with your staff and quality formalwear! Your staff is Very helpful. and proficient. we were very happy. Great job. Fast friendly service. Two tuxes in about 3 weeks. Great job. See you next season. Fantastic customer service. Great communication. the selection is great and easy to work with. and we found everything we were looking for. and very informative! Thank you! and the staff was very friendly. I would highly recommend tuxedo junction for your formal wear. whenever I needed to come in, and adjustments were made extremely quickly and fit well. Excellent service and tux ! at this location. He graduated the same highschool as me and he’s real easy to talk to. Super helpful that he knew the catalog and all of the questions I needed answering. Super nice experience. Was very helpful and polite. and I felt like I looked really good! no issues amongst a 9 person groomsmen/groom group. of schedule which was much appreciated . The event I was attending was out of state so this was very important to me. to get a tux! 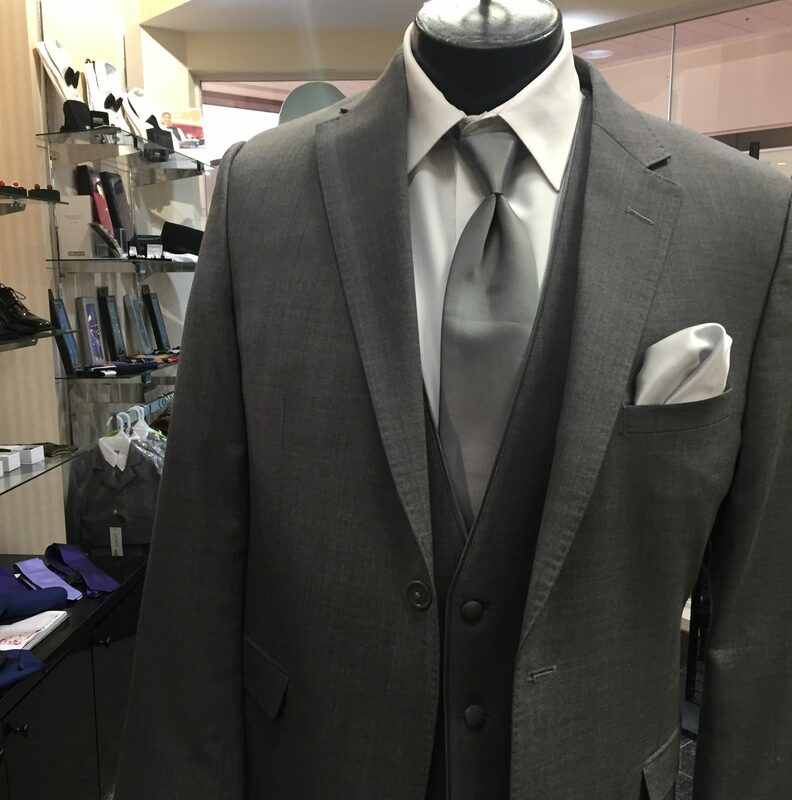 Friendly staff, great selection of styles and colors, and the tuxes are always top notch. They were easy to work with, and it was prompt. We got our tuxedo quickly! were professional and fun. They were patient and kind. They helped me find the perfect tuxedo. I loved it. The fit was great. knowledgeable staff. 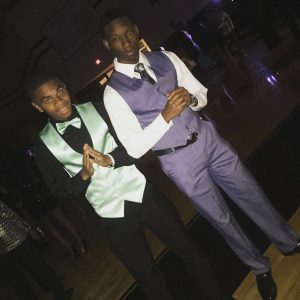 Great tuxedos with tons of options. Awesome job!! Everything fit perfect. Thank you for accommodating us on such short notice! 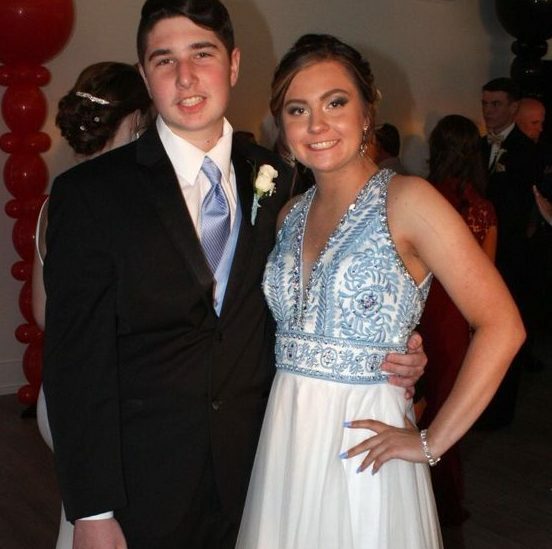 Had a great time at my Prom! We didn’t have to wait to be waited on, and they were very friendly and helpful. and very helpful! There was just a bit of a wait and since it was crowded it got a little hectic at times. The small space was a little tight. But the service was excellent! on my tuxedo and shoes! Staff extremely pleasant to deal with. at the Walden Galleria we’re amazing! Extremely helpful, friendly and knowledgeable. We had a great initial experience! and the staff was very help with trying to match the colors I needed. They were also very helpful with offering their opinions and time. but very helpful and professional. Our sales girl was friendly, knowledgeable and helpful. Very pleased! Guy was super friendly and helpful!